I know I say it a lot but really enjoy the people you find to write about; yer another lady of whom not much is known in regards to her personality as was the case with women at that time. I do hope she had some happiness in her third marriage. She would have been a fascinating person to talk to about all she has seen and lived through. Katherine Wydville (or Woodville) was born into relative obscurity. 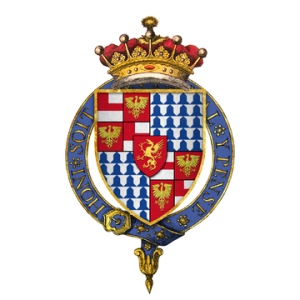 Her father was Sir Richard Wydville, a Lancastrian Knight who had made a shocking and advantageous marriage with Jacquetta of Luxembourg, widow of the king’s uncle John, Duke of Bedford. Born around 1458, Katherine was probably the youngest of the couple’s 14 or 15 children. Her eldest sister, Elizabeth, was already married to Sir John Grey and had 2 sons by him. Little to nothing is known Katherine’s childhood. She did have at least one playmate; her sister, Mary, was just 2 years older than her and it is likely they were raised and educated together.